Every construction business faces a host of risks, and a properly crafted commercial insurance program is essential for protecting your business assets, managing those risks, and safeguarding your profits. But when it comes to controlling insurance costs, too many business owners see only the price, not fully understanding the larger context of coverage and value. If an insurance company sells you a piece of paper that says “General Liability Policy” for $100 a year, but it doesn’t actually cover anything, what are you really buying? So the goal shouldn’t be to get the cheapest policy; it should be to get the most value for your dollar. Is it really worth slashing your GL limits from $1 million to $500,000 just to save $50 a year? Would it make sense to increase your auto deductible from $250 to $1,000 to save $25? When it comes to controlling your insurance costs, like anything else, there are good strategies and bad. And without taking the context of coverage and value into consideration, price becomes your only purchasing criteria – and that inevitably leads to poor decisions that can have serious consequences for your bottom line. Of course, premium and cost will always be a consideration, but they’re only half of the equation. So let’s add a little context and look at a few of the most effective strategies for getting the most from your insurance dollars. Workers’ compensation is undoubtedly your biggest insurance expense – and it’s also your best opportunity to save money on premiums. Having a robust workplace illness and injury prevention program can pay huge dividends down the road and have a profound impact on your premiums through experience modification ratings and loss history. Make sure all employees are properly classified to avoid overpayments and unnecessary costs. A return-to-work or light duty work program can minimize time loss and the financial impact of claims. Shop around to take advantage of any business discounts. Some insurance carriers might offer 5% credit for having a drug testing program, while others might give a 3% credit for having a formal safety program, and still others might offer a discount on premiums if they can credit rate the account in underwriting. An auto insurance carrier might offer discounts if you have GL insurance, if you’ve been in business for a number of years, or if your premiums are paid in full. Vehicles and equipment depreciate. Since most vehicles and equipment are insured on an actual cash value basis, you’ll be reimbursed for the value less depreciation if you suffer a covered loss. So it’s vital to frequently review equipment, property, and vehicle schedules to make sure your fixed assets aren’t over-insured. Isn’t doesn’t make much sense to have full coverage on a vehicle worth $5,000 that has a $2,500 deductible. When choosing deductibles for your auto, property, and other liability insurance, always remember the first rule of risk management: Never risk more than you can afford to lose. Most construction businesses suffer adverse events at some point, so view your deductibles as potential costs that will be incurred, and weigh them against any potential premium savings when choosing the right balance. The property and casualty insurance markets are largely going to dictate the price you pay for premiums, and there’s often little difference from market to market. But before you choose that lowest priced policy, you need to ask yourself: What are you getting for your cost savings? 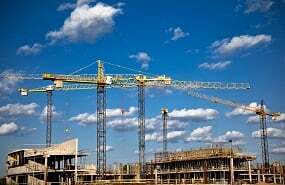 When you need a construction insurance package tailor-made to your unique needs, see the construction insurance experts at BNC Insurance and Risk Advisors – serving companies in New York and New Jersey. With more than 150 years of combined experience, we have the industry expertise to make sure you get the most value from your insurance dollars. Want more risk management advice? Subscribe to our blog in the top right corner of this screen or request an insurance quote.